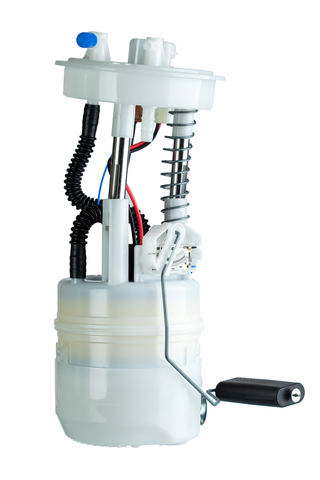 Modern fuel pumps are largely maintenance-free and extremely durable relative to their predecessors. While mechanical fuel pumps are typically easier to fix, electric fuel pumps tend to be more complex– often requiring outright replacement. Faulty fuel pumps create performance problems that are difficult to identify specifically, but there are some telltale warning signs that can tip off an observant vehicle owner. Read Park Muffler’s top five signs that your fuel pump needs replacement or repair below! As their names indicate, fuel pumps deliver gasoline or diesel to your engine. When you turn the key, a vehicle’s engine requires the right mix of fuel and air to start properly. A weakened or aging fuel pump may cause your engine to crank multiple times before starting. Vehicles with broken or failed fuel pumps may not start at all, though the ignition will still attempt to turn over. Fuel pumps control the pressure and amount of fuel that reaches the engine, which is directly tied to controlling the throttle. A faulty fuel pump means your engine could misfire or even fail to maintain an even speed. If you notice your vehicle surging or lagging intermittently, you may want to have your fuel pump checked for wear and tear. Just as it influences keeping steady speed, a fuel pump is also integral to acceleration and creating the right amount of power when your vehicle needs it. Whether moving forward or reversing, any slight stall before the engine kicks in could be a sign that your fuel pump needs repair or replacement. Make note of any lag between when you press your accelerator and when the engine picks up. A vehicle’s engine makes many sounds, but often it is easy to notice when something is out of place. While there may be no change in performance, a sputtering or stalling sound is often indicative of a worn out fuel pump. Without a precise measurement of fuel, the fine-tuning of an engine cannot produce the steady hum it would when functioning properly. Ranging from the subtle to the very distinct, a faulty fuel pump can produce many different types of sounds. When working the way it should, your vehicle’s fuel pump will likely make a barely audible hum. Any increase or sudden changes can mean your pump may require inspection, especially anything as drastic as a howl or a whine. The warning signs above only briefly summarize the spectrum of problems created by malfunctioning fuel pumps. For a full assessment, contact or visit the pros here at Park Muffler today!